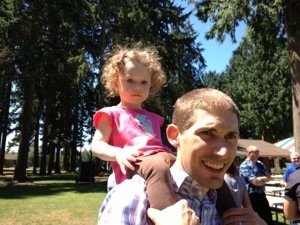 Today was the annual company picnic. T-Bone jumped right in when it was time for Tug-a-War and also wanted to help Papa play volleyball. I decided her chances if getting trampled were fairly high on the volleyball court, so she didn’t play for long. 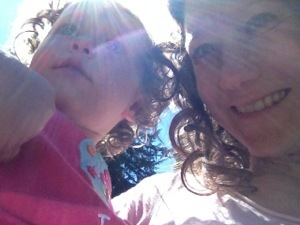 We had a fun afternoon chatting with Bee’s coworkers and enjoying the glorious sunshine. So cute. 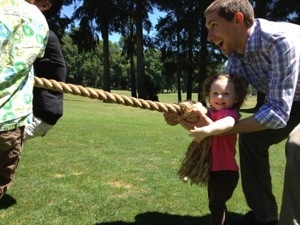 Looks like she enjoyed pulling on the rope!